The 2014 Imagine Music Festival was one of Atlanta's best events, welcoming thousands of people to Historic Fourth Ward Park and the Masquerade Music Park in midtown. The inaugural Imagine Festival featured three stages, showcasing an eclectic mix of over five dozen local, national, and international artists. Imagine received rave reviews from across the nation, even being named one of the 15 electronic dance music (EDM) festivals to attend in 2015 by Fest 300 magazine. Ticket sales are going fast for the 2015 Imagine Festival, according to festival organizers, even though the two-day event is still months away. Prices started at $55 for the early birds, then increased to $73 -- still considered a bargain, based on Imagine's established reputation of bringing quality talent to its audiences. But that $73 deal won't last too much longer. Imagine organizers tell Georgia Unfiltered ticket prices will increase again once the phase 1 artist lineup is announced sometime in May. 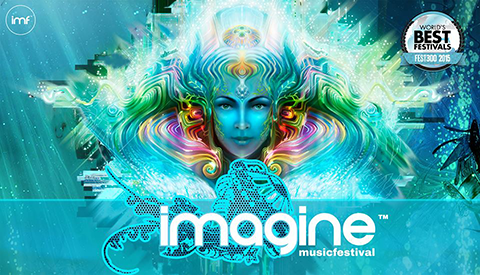 Imagine Music Festival is produced by Iris Presents, an award-winning promoter of high energy electronic dance music events in Atlanta for over a decade.